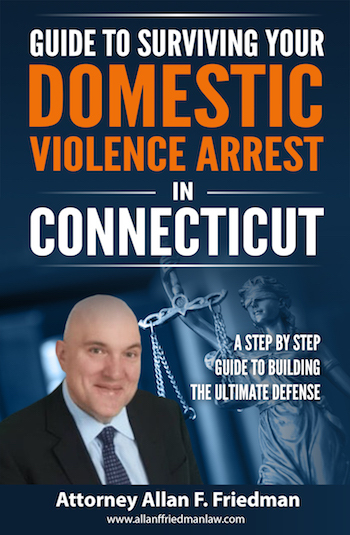 Top Stamford criminal defense lawyers will agree that in many Connecticut domestic violence arrests the Police will add the charge of risk of injury to a minor in violation of C.G.S.A. Section 53-21 if a minor under the age of 16 was present in the home or location of a domestic violence dispute. While it may be appropriate in my opinion to add this charge where the actor’s behavior or actions have either placed the child in direct harm or traumatized the child to a significant degree in many cases the risk of injury charge is added on top of a domestic violence case just because children were “home” while a domestic violence incident took place. This may even occur in situations where the children were actually sleeping in their bed rooms at the time and totally unaware of the argument or confrontation which led to the arrest. You should be aware that this allegation is a very serious one as it a class C felony charge punishable by up to 10 years in jail and a $10,000 fine. If you have been charged with risk of injury to a child you should contact a Stamford domestic violence defense attorney as soon as possible to protect your rights and get some sound legal advice on how to defend yourself against these allegations. It is common practice that the police will add this charge in situations where there is no factual basis to prove that the safety, health, welfare or morals of the minor children were ever at risk simply based upon the fact that a domestic violence incident took place within the home. The escalation of your domestic violence matter into a felony level case will have significant consequences. Of course the very fact that you have been charged with a felony allegation that carries a penalty of up to 10 years in prison is a serious consequence in and of itself. There are other collateral consequences that go along with a felony arrest of this nature. First of all the mere fact that you have been now arrested for a felony is going to be on your FBI arrest record regardless of the disposition of the charge. This obviously can have significant effects if you are searching for employment, particularly while the case is pending. Also, in some instances reports of these arrests are posted online by local news organizations and having the fact that you were arrested for “risk of injury to a child” online is going to be harmful to your reputation. (We do offer internet scrubbing services to remove these internet postings but usually we have to first obtain a dismissal of the charges before we can get the information removed from the internet which can take a significant period of time). Secondly, the risk of injury charge makes it more difficult to resolve domestic violence cases without using or “burning” diversionary programs which is usually our main objective in most domestic violence cases (to get all charges dismissed without having to use any diversionary programs). If your domestic violence case had been upgraded with a risk of injury to a child charge then you should seek the services of a Stamford domestic violence defense attorney as soon as possible. A further consequence of a felony risk of injury to a minor arrest is that you will be faced with a DCF investigation. As mandated reporters under Connecticut law the Police are required to and will contact DFC (Department of Children and Families) to initiate an investigation into your family and household. Often when everything is in order at home these DCF investigations will resolve themselves very quickly. However, in some instances these DCF investigations can turn very intrusive if there is a personality conflict with the investigator or other issue. Often if problems arise with DCF it may take weeks of intrusive home visits and involvement with your children’s school teachers and doctors in order to complete a DCF investigation. Usually, the Judge will want to hear a report back from DCF that everything checked out at home and the DCF investigation was closed before taking action on resolving your case. If you run into problems with an overly difficult DCF investigator or if you have any questions about your rights contact a Stamford criminal defense attorney right away. Nothing is more important that the sanctity of your home. With DCF probing around and second guessing your parenting decisions it can be a very unpleasant process. If you feel overwhelmed or uncomfortable with the DCF process you should schedule a free initial consultation today with a domestic violence defense lawyer at the Law Offices of Allan F. Friedman. Connecticut’s risk of injury statute (C.G.S.A. Section 53-21) is a very broadly crafted statute that covers a very wide range of behaviors that put children at risk of harm. It also covers situations involving sexual contact with minors and the sale of minors which obviously are not involved in domestic violence matters. This law covers behaviors ranging from leaving a child unattended in a hot car to beating a child with an object that leaves a mark. Virtually any act or behavior that places a child in any danger can result in a charge of risk of injury for an minor. For purposes of domestic violence cases the risk of injury section that applies is subsection (a) which references either placing a child under the age of 16 in a situation where the “life or limb” of the child is endangered; the “health” of the child is likely to be injured or you do “any act” likely to impair the “health or morals of a child.” The theory in today’s thinking is that if Mom and Dad are having a heated argument in their bedroom and for some reason the Police are called this somehow impaired the morals of the children or exposed them to a situation where their “life or limb” was at danger.” Frankly, this is total nonsense. Of course, there are situations where a charge of rick of injury is appropriate. For example, if Mom is holding an infant and Dad strikes her that is certainly a risk of injury to the infant. What if Mom fell down? Another scenario, if Mon or Dad pulls out a knife or other weapon threatening to do harm to the other party in the same room as the children this is certainly a risk of injury to the children. The reality is that genuine situations where some overt action created a real danger to the health of the children or exposed them to some situation that was likely to impair their morals in the domestic violence situation and few and far between. Despite the fact that this allegation may be totally frivolous and merely a case of Police up charging you with additional offenses you have to take this crime and allegation very seriously because it is a class C felony and the consequences for a conviction are very serious. If you have been arrested for risk of injury to a minor you should seek the legal advice and counsel of a Stamford domestic violence lawyer at the Law Offices of Allan F. Friedman who can plan best possible defense strategy and work to have the charges against you dismissed or reduced. Every domestic violence arrest requires a mandatory next day arraignment in Court where usually the Judge will impose criminal orders of protection to protect the victim while the case is pending. Also you will be required to meet with a family relations officer who will screen you and may recommend that you engage in some form of treatment while the case is pending, usually through AIC. These treatment sessions usually focus on anger management and substance abuse problems which the family relations office may feel that lead to the behavior that caused the arrest. It is always a good idea if possible to retain an experienced Stamford domestic violence defense attorney to be with you during your domestic violence case arraignment to protect your interests and be ready to intercede in the event that the Court is going to attempt to recommend any conditions that would conflict with your work schedule or professional responsibilities. For a detailed discussion of the entire process of what to expect during your first Court date and what pit falls to avoid please visit my domestic violence main page. I have some positive news, most top Stamford domestic violence defense attorneys would agree that usually risk of injury charges associated with a domestic violence matter can be successfully resolved. In most situations while the Police have charged you with a risk of injury charge unless you did something that actually put your children in real danger the State’s Attorney is going to be more interested in resolving the associated underlying domestic violence charges than the trumped up risk of injury allegations. In many situations the State’s Attorney will drop the risk of injury charge if you come to a resolution of your domestic violence case. Often upon successful completion of the Court ordered anger management or substance abuse treatment which was ordered as a condition of your release (if applicable) the State may be willing to drop all of your charges. In other cases that may involve more serious allegations of domestic violence the State may require that you complete the Family Violence Education Program which would lead to a dismissal of the domestic violence charges upon completion and usually the State will agree to drop the risk of injury charge as well. If the risk of injury allegation is more serious you may have to apply for a separate diversionary program called the accelerated rehabilitation program which would be required to address the separate risk of injury charge as you can’t use the Family Violence Education Program for a risk of injury allegation. This is by no means an exhaustive list of all the options or methods available to get your domestic violence case and risk of injury charge resolved and dismissed. In any criminal defense matter the process starts with an in depth review of the specific facts of the individual case so that we can get to know all the background details about you and your arrest. From there we can develop a plan that is ideally suited to address your particular situation. Of course the first consultation is always free. So if you are facing a risk of injury charge contact an experienced Stamford criminal defense attorney today. Attorney Friedman is also available to assist you with any other domestic violence accusation that you may be facing such as, assault, violation of an order of protection, threatening, strangulation, breach of peace, disorderly conduct, unlawful restraint or stalking. Let Us Fight Your Risk of Injury Domestic Violence Arrest! We always provide every client with a free initial consultation. We have 25 years of criminal law experience throughout the State of Connecticut. We will review your goals of the representation which are usually a dismissal or a reduction of the charges and any special concerns that you may have. In some cases working with an experienced Stamford domestic violence defense attorney can make the difference in having your case dismissed or reduced down to a lesser charge. If you have been arrested for risk of injury in a domestic violence case in, Stamford, Bridgeport, Norwalk, Darien, New Canaan, Cos Cob, Greenwich, Fairfield, Weston ,Westport, Wilton, and throughout the County of Fairfield do not hesitate to contact the Law Offices of Allan F. Friedman. We work on a flat fee basis and our rates are reasonable. We offer payments plans as needed. Call Attorney Friedman at 203.515.4110 to schedule your free initial consultation we are available 24/7. Or you can contact us online for a prompt response.